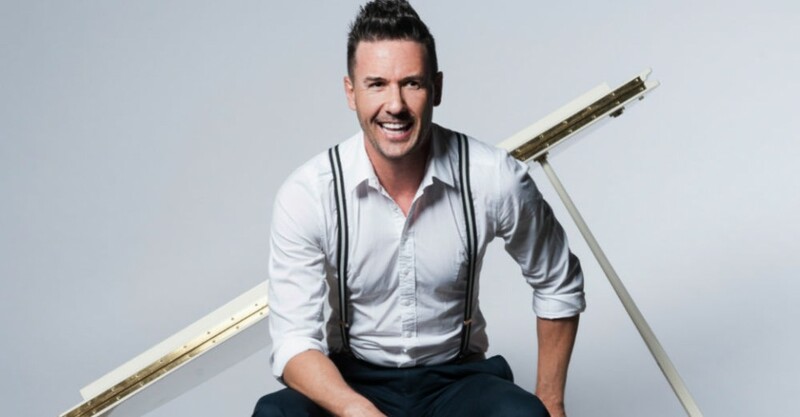 Adelaide’s own cabaret star Michael Griffiths has had a brilliant track record over the past few years presenting outstanding cabaret shows about Madonna and Annie Lennox and previous to that had performed in musicals Priscilla Queen Of The Desert, Jersey Boys and Shout. Griffiths has now turned 40 and looking back in Adolescent on his upbringing, career in show business and how in many ways he still hasn’t quite grown up. The sighs of disappointment from the huge audience when he announced he was about to perform his last song and the enormous cheer after he finished, clearly demonstrated the affection for Griffiths. They just love him! He has an impressive ability to genuinely connect with his audience, and with Adolescent, he is much more deeply personal than his previous cabaret shows; that connection intensifies. It’s just Griffiths and his keyboard on stage, yet we feel we are relaxing in his living room watching him play. Adolescent has a reasonably solid narrative throughout. There were some really beautiful moments such as when he was discussing his partner and also finding out he was conceived via a sperm donor. There was also great humour about some of his experiences in show business, like continuously getting told to stop taking and stop sitting on props side-stage. The music was outstanding; nicely composed, minimised to just piano and to suit Griffiths’ voice. Some real highlights were Charlene’s I’ve Never Been To Me as featured in Priscilla Queen Of The Desert and Love Is A Stranger by The Eurythmics. The audience also loved singing along to Franki Valli’s Can’t Take My Eyes Off You and P.Y.T. (Pretty Young Thing) by Michael Jackson. Griffiths is an incredibly skilled performer and an absolute charmer. He is a talented keyboard player and has such a commanding, emotive voice. A definite must-see! Michael Griffiths performs Adolescent at Queer Nexus, Lions Arts Courtyard, until Sat Nov 23. Book at Feastix on 8463 0694 or www.feast.org.au. Queer Nexus, Sat Nov 22 Adelaide’s own cabaret star Michael Griffiths has had a brilliant track record over the past few years presenting outstanding cabaret shows about Madonna and Annie Lennox and previous to that had performed in musicals Priscilla Queen Of The Desert, Jersey Boys and Shout. Griffiths has now turned 40 and looking back in Adolescent on his upbringing, career in show business and how in many ways he still hasn’t quite grown up. The sighs of disappointment from the huge audience when he announced he was about to perform his last song and the enormous cheer after he finished, clearly demonstrated the affection for Griffiths. They just love him! He has an impressive ability to genuinely connect with his audience, and with Adolescent, he is much more deeply personal than his previous cabaret shows; that connection intensifies. It’s just Griffiths and his keyboard on stage, yet we feel we are relaxing in his living room watching him play. Adolescent has a reasonably solid narrative throughout. There were some really beautiful moments such as when he was discussing his partner and also finding out he was conceived via a sperm donor. There was also great humour about some of his experiences in show business, like continuously getting told to stop taking and stop sitting on props side-stage. The music was outstanding; nicely composed, minimised to just piano and to suit Griffiths’ voice. Some real highlights were Charlene’s I’ve Never Been To Me as featured in Priscilla Queen Of The Desert and Love Is A Stranger by The Eurythmics. The audience also loved singing along to Franki Valli’s Can't Take My Eyes Off You and P.Y.T. (Pretty Young Thing) by Michael Jackson. Griffiths is an incredibly skilled performer and an absolute charmer. He is a talented keyboard player and has such a commanding, emotive voice. A definite must-see! by Bobby Goudie Michael Griffiths performs Adolescent at Queer Nexus, Lions Arts Courtyard, until Sat Nov 23. Book at Feastix on 8463 0694 or www.feast.org.au. The audience just love him!